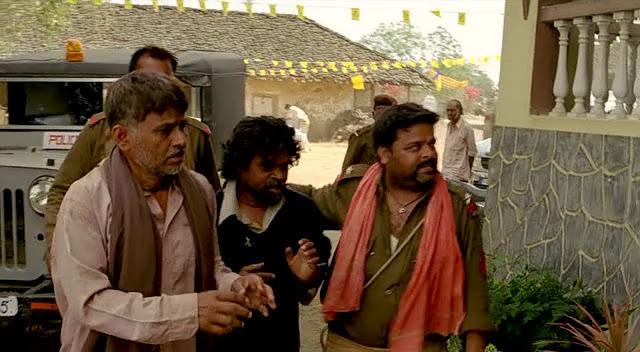 Images of my first film Peepli Live, made under Amir khan productions, directed by Anusha Rizvi. I played the character of Thanedar Juggan who is very loyal to local politician who gave the idea of committing suicide for the sake of money. Peepli Live was India's official entry for the 83rd Academy Awards Best Foreign Film category, however it didn't make the final shortlist. I m an actor engaged with theater from last 20 years. Habib Tanvir is my guru & Naya Theatre is my Gurukul. Now I am associated with National School Of Drama Repertory Co. New Delhi,India. I have received Ustad Bismillah Khan Yuva Puraskar'07 by Sangeet Natak Academy for the contribution in theatre (acting). Acted in aamir khan production's peepli [live] as Thanedar Jugan and Deepa Mehta's forthcoming film based on Salman Rushdie's Novel Mid Night's Children. This blog will keep you updated about all my work on stage and films as well.